NCR stands for No Carbon Required. Carbonless NCR sets are used in business situations where more than one copy is required on the spot. If you need to issue a receipt, invoice, work or purchase order, etc., but don't have the means to print one out, an NCR receipt booklet allows you to fill out one form, give the customer a copy and keep a copy for your records. If a third copy of records is required, NCR sets with three copies are available. 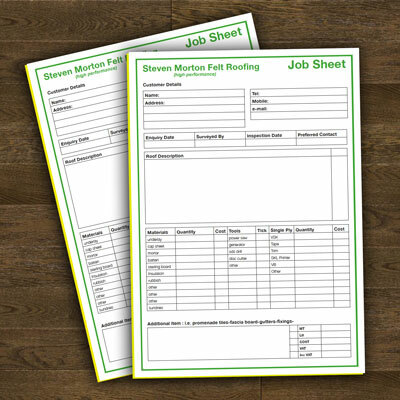 Personalised NCR forms created with high end printing are perfect for businesses that need NCR sets on job sites and want to project a professional image. Use our online ordering to easily customize your NCR forms.